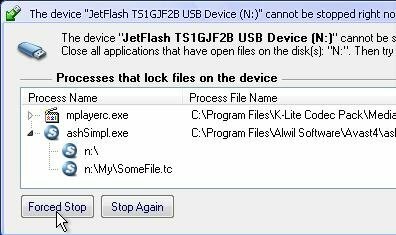 Что дает USB Safely Remove по сравнению со встроенной в Windows функцией? What makes USB Safely Remove better than Safely Remove Hardware? Why do I need USB Safely Remove? Your data will never be lost when using it. A device will never be stopped accidentally, because USB Safely Remove assigns the correct device names. It can also hide any device that will never need to be stopped. It saves time, because a device can be stopped in one click. This avoids the uncertainty of guessing the reason why a device cannot be stopped.